This article was first published on www.patheos.com. Republished with permission. Most of us are Muslims, living in about 190 of the 1200 islands that form our country. Islam is the state religion, and the constitution requires all laws made in the country to abide by Islamic principles and all Maldivian citizens to be Muslims. 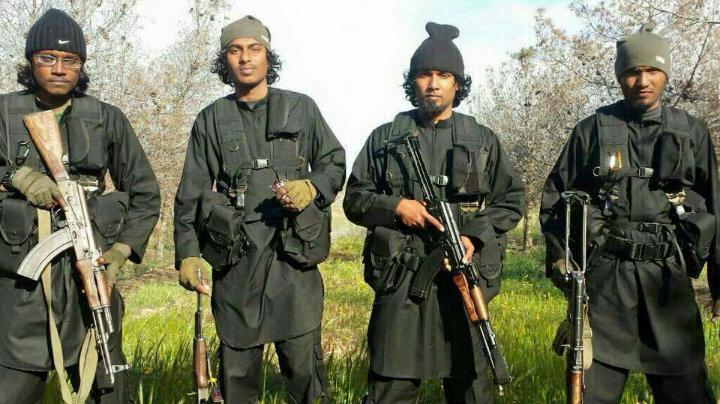 As young Muslims, growing up Maldivian is a privilege that few of us seem to appreciate. Our community is mostly Muslim; our education system, our laws, our traditions and ethos are loosely based around Islamic principles; we have historically been spared the sectarian disputes that have plagued many other Muslim communities worldwide; almost always, no matter where we are on an inhabited island, we have a mosque within walking distance. That is not to say we don’t have our share of difficulties. Our rather reserved society has failed to respond to the spiritual, social, economic and other needs of our youth demographic, and we are suffering the consequences. Many young people are becoming either disillusioned with religion or radicalised by groups who promote sectarian violence and Takfiri ideologies among others. Faced with a general lack of everything: proper housing, jobs, educational opportunities, space for self-expression, and for many kids, even a stable family environment – Maldives has one of the highest divorce rates in the world -, many young people are turning to drugs and delinquency as outlets for their emotions and frustrations. To top it all, in an environment rife with corruption and political discord, the growing disillusionment of youth from the political process and social structures is resulting in young people becoming more sidelined from the general community. In all of this, the failure of the Mosque – as an institution representing religion – becomes apparent. The sermons coming out of the Mosque almost always address matters relating to creed, never relating them to issues that are more directly connected to socio-economic problems. When such matters are addressed, often there is a huge disparity between the preachings of the religious scholar and the tested and proven principles of human sciences. Moreover, the Mosque is often not a welcoming space for women. In the past year or so, I have carried out a project to photographically document the differences between the men’s and women’s prayer areas. 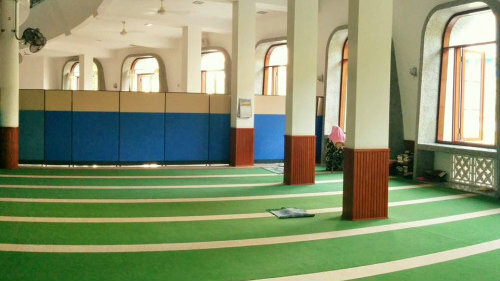 Not all mosques have a women’s area. Of the mosques that do, some mosques have the rainwater drainage pipes coming from the roof ending right at the women’s entrance. Others have women’s prayer areas too small, especially for the number of women who come out to pray Tarawih in congregation at the mosque during Ramadan. And of all the mosques in the capital that I have been to, few have a women’s area that shares the general ambiance of the prayer area used by the men. This general lack of consideration towards women is doubled by the lack women’s access to the lectures given by scholars (most importantly, perhaps, foreign scholars), in the men’s prayer areas of the mosques. Moreover, no female Islamic scholar in the country holds, or in fact has ever held, a public lecture in a mosque. Despite the odds, though, Maldivians are inching their way forward. Young people are trying to beat the rising rate delinquency. Despite the failure of the mosque to address human rights, administrative justice and other important issues, the youth are filling the moral gap as they know how, with the help of international and local rights groups. Female worshipers are increasing at mosques, especially for Tarawih and Eid prayers. Maldives is a country that is moving forward currently, perhaps, in spite of its mosques. The community, and often its most vulnerable, are suffering the consequences and compensating for the current failure of the Mosque. I hope that one day, the Mosque will be an institution that drives and contributes to our progress. For that to happen, the Mosque has a lot of catching up to do. Aisha Hussain Rasheed is a Maldivian Muslim woman, who believes our Islamic heritage is the key to our future, if only we know how to use it. You can follow her on Twitter @ishahr and on Facebook. The vice president Dr Mohamed Jameel Ahmed left the Maldives last week amid preparations by his Progressive Party of the Maldives (PPM) to impeach him. After two days in Sri Lanka, Jameel reportedly left to the UK on Saturday without President Abdulla Yameen’s permission. Some ruling party MPs say Jameel has fled the country. The PPM’s justifications for Jameel’s impeachment are vague. Some MPs have publicly accused him of disloyalty and incompetence. Others have said tourism minister Ahmed Adeeb is more suited for the job. “We do not want to hide what we want to do anymore. We are going to appoint tourism minister Ahmed Adeeb as the vice-president before July 26,” one PPM MP has declared. Meanwhile, rumors that President Yameen is fatally ill continue to persist. 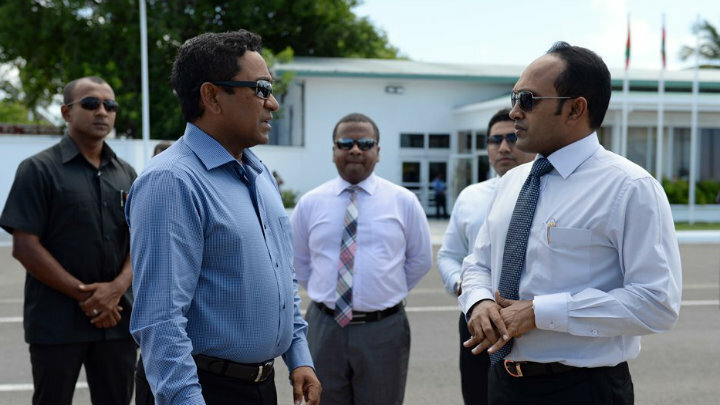 Opposition politicians say Yameen is seeking a trusted deputy ahead of a major surgery. Impeaching a state’s vice president is no small matter. Jameel was elected. The election may not have been free or fair, but its outcome was largely accepted. By many accounts, Jameel was the face of the PPM’s presidential campaign. Yameen was rarely seen in public, but Jameel walked door-to-door. He visited all the islands of the Maldives. Removing a vice-president amounts to overturning an election. It should only be undertaken for serious dereliction of duty. If we allow Jameel to be voted out without debate, without a transparent and fair review of the charges against him, we are acquiescing to the most obscure of dictatorships. Call your MP. Write letters to President Yameen. Demand answers. 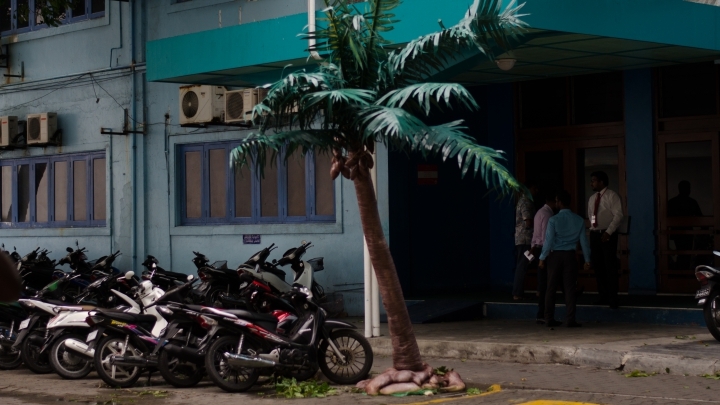 The Maldives constitution institutes several safeguards protecting the president and the vice-president from removal at the parliament’s whims. Article 100 lays three ground for impeachment: direct violation of a tenet of Islam or the law, misconduct unsuited to the executive or the inability to perform the responsibilities of office. The constitution also says the Majlis may set up an investigative committee to review reasons for impeachment, and grants the accused the opportunity for defense. It further states that a two-third majority, or 57 votes of the current 85-member house, is required to remove the president or the vice-president. The Majlis is expected to eliminate one of these safeguards today. PPM wants to amend the Majlis standing orders so that it will not be required to investigate charges against the vice president. It is true that the constitution does leave the matter of setting up an investigative committee at the parliament’s discretion. However, even if an investigation does not take place, MPs must inform and convince us as to why Jameel must go. Keep in mind, an impeachment is not the same as a vote of no confidence. In parliamentary systems, prime ministers must enjoy the support of the majority to achieve office. The governments they head can fall if they lose a vote of no confidence, so they must preserve that support to stay in office. But impeachment is a feature of presidential systems and requires a finding of extraordinary misconduct. As the separation of the executive and legislature is a fundamental aspect of the system, the impeachment process should never be used as a legislative vote of no confidence on the president or vice-president’s conduct or policies. Does the PPM’s charges against Jameel constitute impeachable offenses? Speaking to Haveeru, one senior official accused Jameel of building an independent power-base by spending time with independent MPs. PPM parliamentary group leader MP Ahmed Nihan told Minivan News that Jameel had failed to publicly defend the government ahead of an opposition’s protest on May 1. Still others have said he failed to show progress in the health and education sectors. These charges fall far short of the standards prescribed in the constitution. Vague utterances on loyalty do not make a case for impeachment. If MPs removed the president or the vice president, merely for conduct of which they disapprove of, it would violate their constitutional responsibilities. Some justify the vote to impeach Jameel by arguing that the position of the vice-president is not important. It is true that the vice president is only given the responsibilities and powers delegated to him by the president. But the constitution also states that the vice president shall perform the responsibilities of the president if he is absent or temporarily unable to perform the responsibilities of office. US constitutional historian Lucius Wilmerding, writing in 1947 noted that even if the office of the vice president is unimportant, the officer or the individual serving as the vice president is certainly important. For if the president becomes unable to perform his duties, then the vice-president will assume the presidency. If rumors over President Yameen’s health are true and if he is to undergo surgery, he will have to hand over the presidency to his deputy. This is precisely why Jameel was elected. In voting for Jameel, the public was in fact, choosing a possible president. The Majlis must carefully consider the kind of misconduct that renders a president or vice president constitutionally unfit to remain in office. As several professors of law argued at the US House of Representatives ahead of a vote to impeach President Bill Clinton, the parliament’s power to impeach, like a prosecutor’s power to indict, is discretionary. Hence, this power must be exercised not for partisan advantage, but only when the circumstances genuinely justify the enormous price the country may have to pay in governance and stature. The opposition today backed the first amendment to the Maldives Constitution and set new age-limits of 30-65 years for the presidency. The vote is widely perceived as a deal made in exchange for two months of house arrest for jailed opposition leader Mohamed Nasheed. The ruling Progressive Party of the Maldives (PPM) is seeking to replace vice-president Dr Mohamed Jameel Ahmed, who some MPs have accused of incompetence and disloyalty. Tourism minister Ahmed Adeeb is expected to take over the vice-presidency. The vote has bitterly divided opposition supporters and leaders. For what ever reason the opposition has caved in while majority of the citizens are on the cliff. Call it the bitter political reality. Critics say the vote is undemocratic and argue the Constitution is not to be toyed with in the interests of a few. But supporters describe the deal as pragmatic, and claim Nasheed’s transfer to house arrest offers hope of an end to a five-month long political crisis. For some, the amendment is a victory for the opposition as it “eliminates” three strongmen from Maldivian politics; vice-president Jameel, former president of 30 years Maumoon Abdul Gayoom, who is now in his early 80s, and JP leader Gasim Ibrahim, who contested in both the 2008 and 2013 presidential polls, but will be 66 and ineligible in the 2018 election. Meanwhile, Gasim’s forced retirement from politics brings many, a great relief. He was a key figure in the fall of Gayoom’s 30-year-dictatorship. Although he backed Nasheed in the 2008 polls, the tourism tycoon played a key role in Nasheed’s ouster in 2012. He then helped Yameen defeat the MDP in 2013. In January, he allied with the MDP in an anti-government campaign, but abandoned ship when the government slapped a US$90.4million fine on his tourism businesses. The “kingmaker’s” retirement will level the playing field between the two major parties, the PPM and the MDP. “At the very least, we have been saved from these two,” said an opposition supporter. Gayoom’s son, MP Faris Maumoon, was absent from today’s vote. President Yameen, as Gayoom’s half-brother, was elected on his popularity and Gasim’s backing. But in the past 18 months, he has created his own power base, with hand picked MPs and ministers. His right-hand man is tourism minister Adeeb. Why the sudden drive to replace the vice-president? PPM MPs have said Jameel is incompetent. But the opposition claims Yameen is fatally ill and is seeking a loyal deputy ahead of a major surgery. It is precisely Adeeb’s rise to power that some opposition supporters fear. He has been accused of massive corruption and illicit connections with gangs. Why tamper with the Constitution to bring an unelected minister to power? Azim Zahir, a political science student at the University of Sydney, said: “This amendment is clearly undemocratic as its objectives are to ultimately negate the democratic impulse behind giving the people a direct say in the election of a vice-president and also negates the electoral wish of a majority in 2013. Supporters of the vote, however, say Adeeb is and will continue to run the show with or without the constitutional amendment. Although there have been no changes to the letter of the Constitution until today, the parliament and the Supreme Court have violated its spirit with the dismissal of the Auditor General, the guidelines for the elections commission and the human rights watchdog, and the dismissal of the Chief Justice. Making as deal with the tyrant is never good. But dont say constitution, something that is already dead. More pressing are the following questions: Will the government honor its promise and keep Nasheed under house arrest? 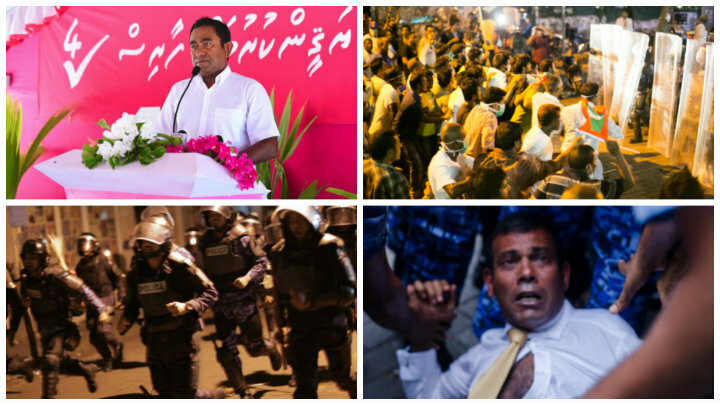 Why didn’t the opposition demand Nasheed’s unconditional release? Was a constitutional amendment worth eight weeks of house arrest? What kind of precedent are we setting if we allow the government of the day to hold opposition leaders to ransom for votes? Previous political compromises have not worked out well for the MDP. 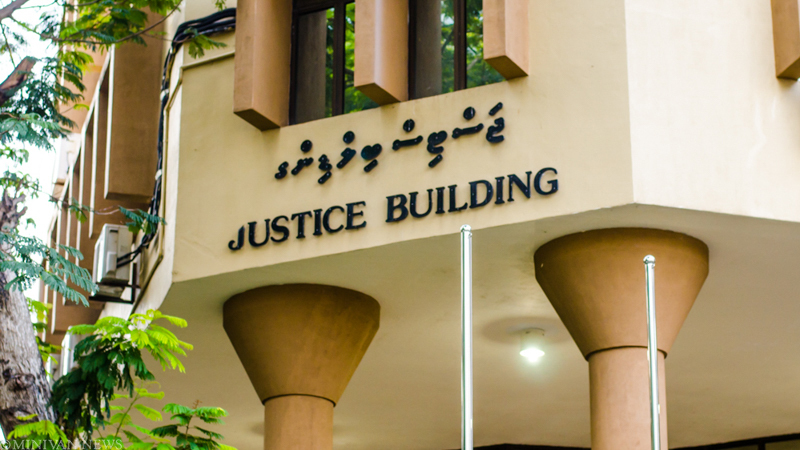 For instance, in 2010, the MDP reached a compromise on appointments to the Supreme Court and the appointment of unqualified judges to the judiciary. Those same judges sentenced Nasheed and other opposition politicians to jail this year. In 2013, Nasheed and the MDP accepted the findings of a Commonwealth-backed inquiry that the 2012 transfer of power was constitutional. 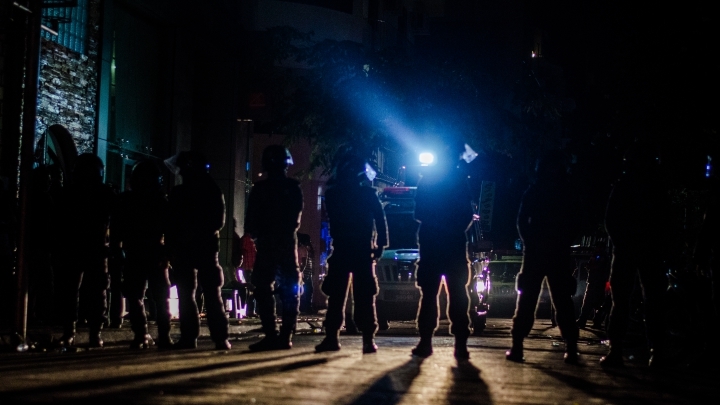 The lack of accountability for the unlawful transfer of power haunts the Maldives to this day. Isn’t it high time the MDP learnt from its mistakes? But, opposition supporters say the MDP was forced to compromise then and now due to the political reality of the day. 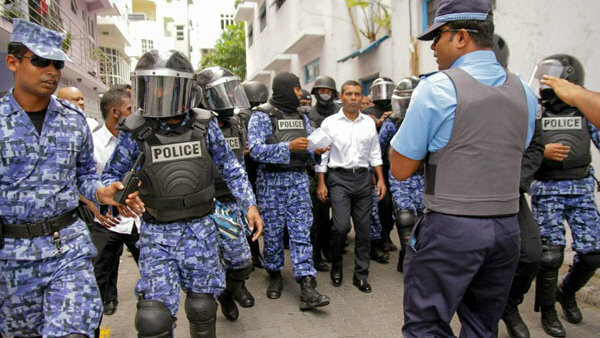 Although the MDP is the largest political party, it continues to face a hostile parliament, judiciary and security forces. Democracy is won through hard compromises and dirty deals. @kuhthaa @faya_i @fazaillutfi and from your tone it’s always been clear you’d quite like other people to take all the risks while you tweet. Supporters say a deal is necessary as President Yameen has refused to back down despite the mounting diplomatic pressure, the daily protests and the historic marches of February 27 and May 1. 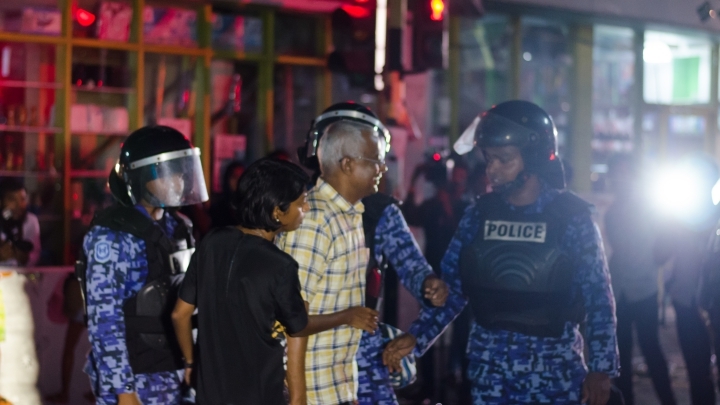 Many of Nasheed’s supporters say his release alone will energize and reinvigorate the opposition’s campaign. They also hope that the government will compromise further by dropping charges against hundreds of protesters and free jailed leaders. “We are incapacitated to stand up for ourselves without this one unique single person who inspires us. I selfishly want to see Nasheed free because all hope for freedom of expression and right to assembly are weakening day by day when Nasheed remained in jail. Less and less people turn up to protest. But today, it just seems more alive, people are talking about this, people care, There is hope,” said Ifham Niyaz. Utterly disappointed but I’ll not abandon the ship. I’ve too much love n respect for the man who keeps sacrificing his life for the nation. Some opposition supporters have censured critics for the storm of criticism against the MDP for choosing a deal. “Where were all these critics when MDP was alone on the streets?” asked one Twitter user. For many, this is the sticking point. They expect better of MDP. The party in January had urged the public to follow it in a campaign to defend the constitution. But today they voted to amend the same constitution. There is a time for principles. There is a time for pragmatism. The wise know the difference. “I thought about it, I can’t agree with the MDP. If this is pragmatism – then so is the guy who sells his vote for an Air Conditioning unit,” said blogger Yameen Rasheed. One thing is clear. The people deserve to know more. If the government and the opposition are making deals, it must be through open and transparent negotiations. MDP stands more to lose than any other party with the current opacity. As a party that stands for democracy, it cannot ask its supporters to blindly trust all of its decisions. Posted on June 24, 2015 June 25, 2015 Author Zaheena RasheedCategories Features & Comment, PoliticsTags age limits for presidency, Ahmed Adeeb, Gasim Ibrahim, house arrest, maldives, maldives news, Mohamed Nasheed6 Comments on Cutting a deal with the devil?